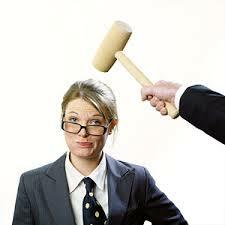 Well, the Probation Violation Hearing is the hammer. That is the hearing to determine if the probation has been violated. This hearing happens when you were placed on probation through Municipal Court or State Court and the City or the State is saying that you violated the probation in some way. The team at MRD Lawyers as seen it all, and these hearings can be very simple or very complicated. For instance, if you were ordered to pay fines and court costs or ordered to do community service, most of the time a lawyer can go in and get those deadlines extended if you have shown some good faith that you are working on trying to comply with the court order. If you were ordered to do 80 hours community service but never signed up, this is a bigger battle to fight. If you were ordered to do 80 hours community service and have 10 more hours to do, that is usually pretty easy. But what if you were placed on probation and you picked up a new criminal charge? That makes it much harder. When you are placed on probation that hammer can be kind of big. If you take a suspended execution of sentence (SES) you will have a “backup” of days in the County Jail or years in the Department of Corrections (Prison). If you start picking up new laws violations, it makes it much more likely that a Judge would put you in jail or prison for a portion or all of your suspended sentence. How do you stay out of jail? Well, follow my advice, stay out of trouble. What if that doesn’t happen? Let me get out in front of the pitch. Let me spin it to the Prosecutor. Let me get you into rehab or the driving class. Just whatever you do, do NOT bury your head in the sand and hope it goes away. The second you have law enforcement contact you need to be on the phone with your lawyer. Especially if you are on probation. I tell my clients, I do not care if you stop and ask an officer for directions, I want to know about it! We will post what happens in a Probation Violation Hearing, the evidence you can expect, and what you can do about it in an upcoming blog post. MRD Lawyers are Criminal Defense and DWI Attorneys helping individuals through the legal process through aggressive advocacy. Whether you are charged with federal crimes, State felonies, DWIs or DUIs, misdemeanors or traffic tickets, we can help. Put National and State award winning Criminal Defense Lawyers who are former Greene County Prosecutors to work for you. We have three decades worth of experience winning cases in Greene County, and we want to help you with your legal issues. Contact the team at MRD Lawyers today.